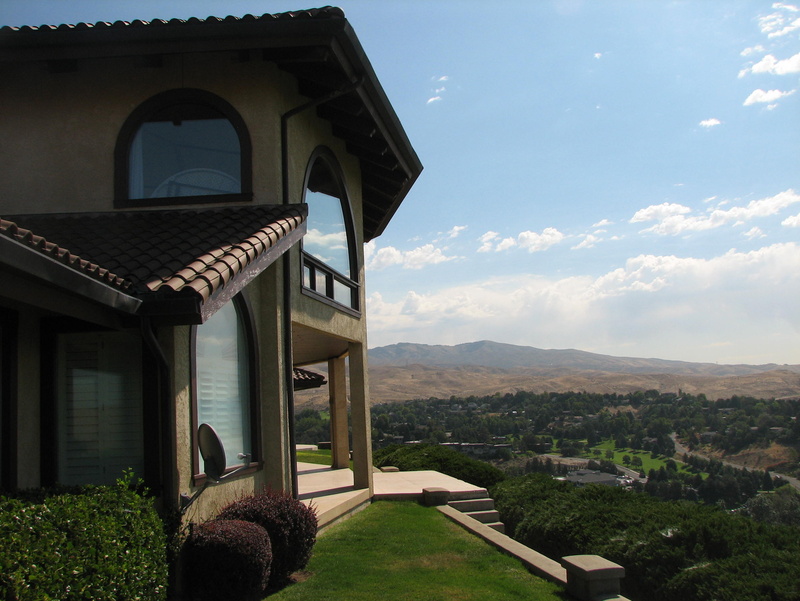 BOISE – Idaho aims to return the hilltop mansion to the Simplot family by June 30 in a tentative agreement over the would-be governor’s residence-turned-money pit that remained vacant even as maintenance costs skyrocketed. That’s according to a resolution approved unanimously Friday by the Idaho Governor’s Housing Committee at a meeting in Boise. J.R. Simplot, the deceased billionaire who built his agricultural empire, in part, on french fry sales to McDonald’s, donated the home in 2004. But the fund to maintain the mansion has dwindled to just $775,000, from $1.5 million in 2005, as maintenance, electricity and repair costs added up. According to the resolution, Idaho is “very grateful” for the gift but believes it’s in the best interest of the state to return it. Sen. Chuck Winder, R-Boise, real-estate broker and the committee’s chairman, reached the agreement with the family after discussions starting last year. Other members of the housing committee, which includes four lawmakers and the head of the Department of Administration, also expressed relief at this decision. Simplot’s heirs originally insisted Idaho keep the place, but now are amenable to taking it back. “We were aware of the resolution; we think it speaks for itself,” said David Cuoio, a spokesman for the company in Boise. Four days before Christmas in 2004, an elated then-Gov. Dirk Kempthorne released the big news: Simplot, who died in 2008, and his wife, Esther, had agreed to hand over the keys to the 7,400-square-foot home. Almost immediately, assessors decided it was worth about a quarter less than original estimates, at the same time state officials concluded renovating the outdated 25-year-old home would cost much more – and take far longer – than expected. Eventually, however, Kempthorne’s plan to raise more than $3 million to do the work fizzled at just a few hundred thousand dollars, in part because he wasn’t around; in 2006, President George W. Bush named Kempthorne U.S. Interior secretary. In the race to replace him as governor that year, the home became a campaign issue. First, Democrat Jerry Brady opined he’d never live in a home more fit for a feudal lord than a man of the people. The eventual winner, Gov. Butch Otter, had his own issues with the place: J.R. Simplot was his former father-in-law, before Otter’s 1993 divorce from Gay Simplot. After winning, the new governor decided he was more comfortable at his 70-acre ranch west of Boise. Meanwhile, the costs were piling up: Maintenance costs of $80,000 seemed expensive in 2007, but they’re now pegged at $180,000 for the current year: Electricity, $30,000; replacement flags: $5,100; janitors: $12,000. It was this list of never-ending bills – the tile roof is now in need of major work – more fit for the billionaire who built the place than a conservative state that prides itself on how much money it doesn’t spend that eventually proved decisive. For years, the Simplots insisted the donation was final. In 2006, J.R. Simplot, ever the businessman, told Idaho he’d trade 40 acres beneath the home still owned by the family for state land elsewhere – where he could mine or graze cattle. Cuoio, the spokesman, said he’s uncertain just what the family now plans to do with the house once the transfer has taken place later this spring. Last year, Sen. Les Bock, of Boise, was among those who began pushing for a final resolution for the house, including calling for public hearings. Nearly everybody who spoke favored the state jettisoning the property. Now that the decision has been made, Department of Administration director Teresa Luna said she’ll spend the next 30 days determining how to prepare the home, including relocating the state china and deciding what to do with furnishings Idaho bought with donated funds. For his part, Otter was consulted before Friday’s vote, but his aides said he declined to influence the decision.